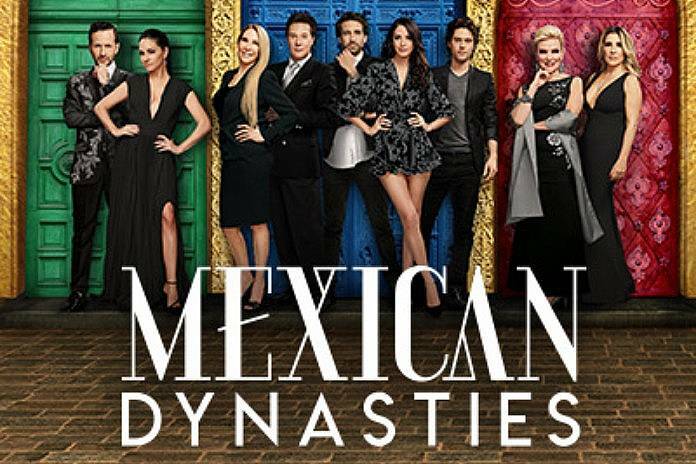 Mexican Dynasties is a reality TV series that premiered on the Bravo network on February 26, 2019. The new series features three wealthy Mexican families: the Allende’s, Bessudo’s, and Madrazo’s – whose fortunes stem from the entertainment, beverage and luxury car industries, respectively. The show offers a glimpse into the family-oriented culture in Mexico. The three family dynasties are connected through both personal and professional relationships. The show highlights their over-the-top lifestyle and their sometimes outrageous behavior. Fernando Allende is a movie star. He has been married to his wife, Mari, for more than 30 years. They are struggling with the realization that they are not as close to their children as they used to be. Their son Elan and his wife Jenny are raising two children of their own. Plus, they are working on their own careers in the music industry. Their other son Adan is trying to make it in the music industry as well. The show puts a spotlight on the somewhat strained relationship between Elan’s wife and his mom. Doris Bessudo is a Public Relations expert who moved from Beverly Hills, California to help her mother after her father passed away. Doris is a cousin of Mauricio Umansky, who is married to Kyle Richards of Real Housewives of Beverly Hills. Her mother, Raquel is a popular fashion critic in Mexico. However, living together quickly becomes a challenge. Oscar and Paulina Madrazo are brother and sister. Additional episode titles will be added as they air. Previously aired episodes are available to stream online at Amazon.com. The Mexican Dynasties series is produced by Campanario Entertainment and Shed Media for Bravo. The Executive producers of the series are Jaime Davila, Pamela Healey, Lisa Shannon, and Paulina Williams. The episodes are filmed on location in Mexico City, Mexico. To learn more, visit the Mexican Dynasties page on Bravo’s website or visit the series Wikipedia page.